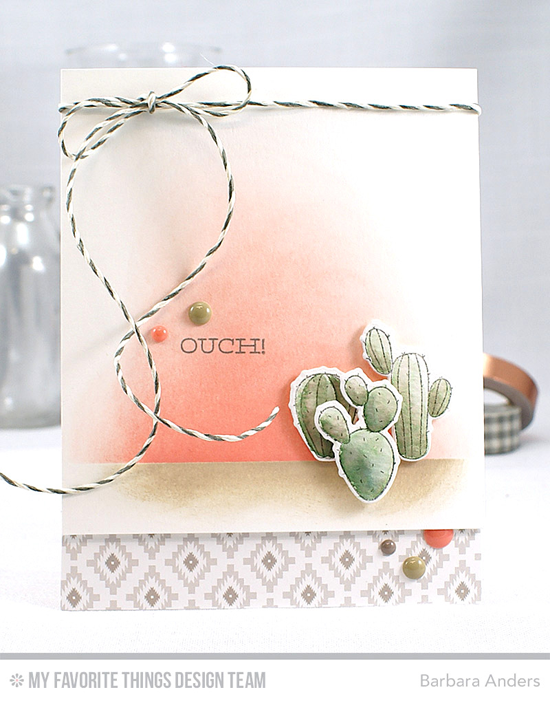 This challenge features warm colors to inspire you — Kraft, Coral Crush, Cactus, and Gravel Gray. Inge has a knack for creating a feast for the eyes, and Color Challenge 53 gave her much inspiration. 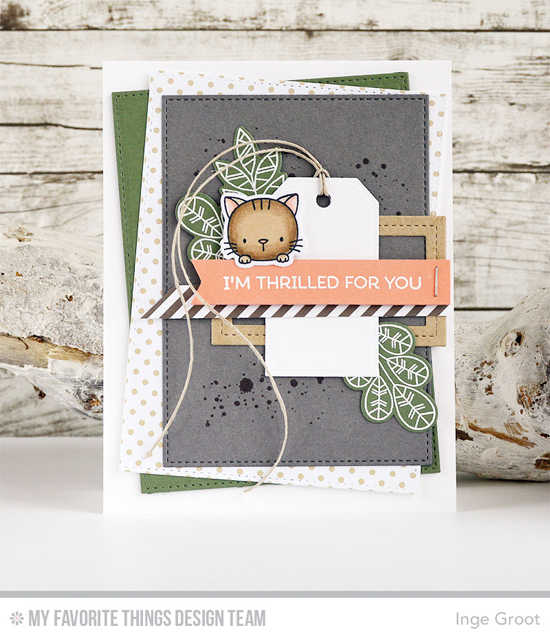 Lots of texture and one adorable cat from the Cool Cat stamp set give this design extra sweetness. 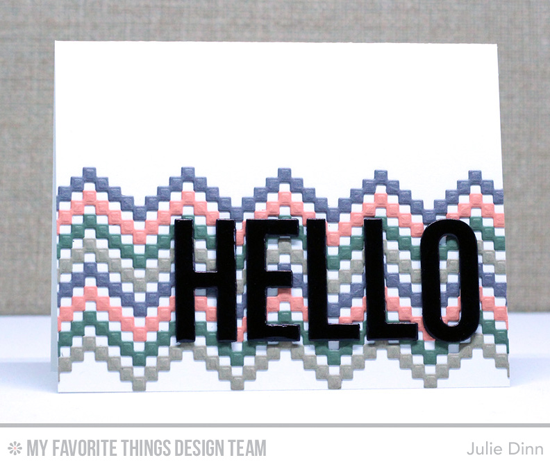 Julie goes bold and simple with this color palette featuring two new Die-namics from our September release — Stepped Up Chevron and Big Hello. Sometimes all it takes is a little die cutting to create something magnificent. Barbara's signature watercolor background creates a fantastic backdrop for stately cacti from the brand new Llama Love stamp set. The addition of desert-like patterned paper and twine finish things of with lots of detail and interest. Anna's floral interpretation of Color Challenge 53 results in this warm and lovely design. The black sentiment strip is a bold way to make it stand out. 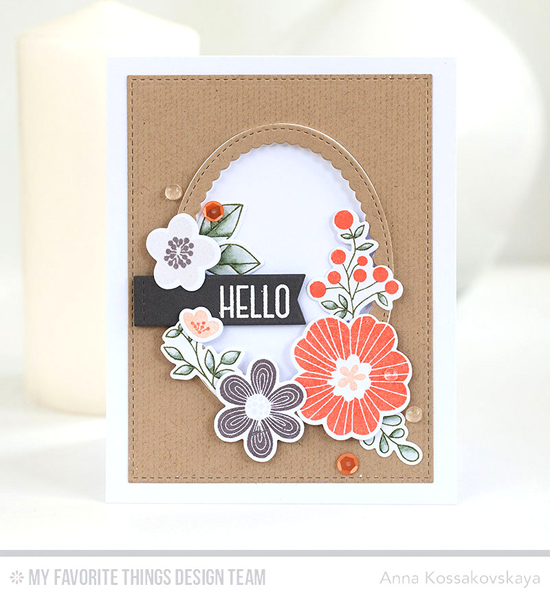 Her use of the new Bold Blooms stamp set and Die-namics looks absolutely lovely! Congratulations, Elchi! You are the randomly selected winner of the MFT Color Challenge. You can view all the entries from the last challenge HERE. You have until Wednesday, September 21st, at noon EDT to add your link and be eligible for the prize of up to $20 in MFT Cash. Winners are chosen at random, so everyone has a chance! The prize is a $15 Gift Voucher to My Favorite Things, but if you use MFT stamps and/or dies in your project, you’ll receive an extra $5. And oh, the new color combo is beautiful - love this colors and the design-team did a great job, too! So lovely! I just love the inspiration from the DT. So many beautiful cards! This crafting hobby rocks!